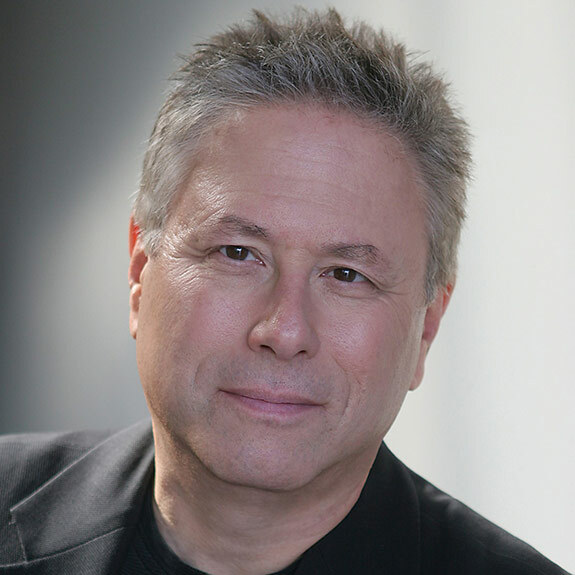 Alan Menken’s music and lyrics have become an integral part of the fabric of our lives since his first works were produced nearly 40 years ago. His stage musicals include God Bless You Mr. Rosewater, Atina: Evil Queen of the Galaxy, Real Life Funnies, Little Shop of Horrors, Kicks, The Dream on Royal Street, Disney’s Beauty and The Beast, A Christmas Carol, Weird Romance, King David, Disney’s The Little Mermaid, Sister Act, Leap of Faith, Disney’s Newsies, Disney’s Aladdin, The Hunchback of Notre Dame, The Apprenticeship of Duddy Kravitz and A Bronx Tale. Song and score credits for film musicals include The Little Mermaid, Beauty and The Beast (Animated), Newsies, Aladdin, Pocahontas, The Hunchback of Notre Dame, Hercules, The Shaggy Dog, Home on the Range, Enchanted, Tangled, Mirror Mirror and Beauty and the Beast (Live Action). Upcoming Aladdin (Live Action). Individual songs for film include Rocky V – “The Measure of a Man”, Home Alone 2: Lost in New York – “My Christmas Tree”, Life With Mikey – “Cold Enough to Snow”, Noel – “Winter Light”, Captain America: First Avenger – “Star Spangled Man” and Sausage Party – “The Great Beyond”. Television credits include writing songs for Sesame Street, the ABC mini-series Lincoln, a musical episode of The Neighbors, the ABC series Galavant and the Disney Channel’s Tangled: The Series. His chart topping songs have included “Beauty and the Beast”, “A Whole New World”, “Colors of the Wind” and “Go the Distance”. Winner of the 2012 Tony and Drama Desk awards for his score for Newsies, he has won more Academy Awards than any other living individual, including eight Oscars® with 4 for Best Score and 4 for Best Song; 11 Grammy® Awards (including Song of the Year for “A Whole New World”); 7 Golden Globes; London’s Evening Standard Award; the Olivier Award; the Outer Critics Circle Award and the Drama Desk Award. Other notable achievements include induction as a Member (2008) in the Songwriter’s Hall of Fame followed by receiving the lifetime achievement acknowledgement of the Johnny Mercer Award (2017); Billboard’s number one single (“A Whole New World”) and number one album (Pocahontas). In 2001 he received the distinction of being named a Disney Legend. Awarded two doctorates in Fine Arts from New York University and the North Carolina School of the Arts. In 2010 he received a star on the Hollywood Walk of Fame. Recent live concert appearances include the Hollywood Bowl, Segerstrom Center and the Royal Albert Hall. Upcoming concert tour of Japan (Tokyo, Osaka, Maihama).